BCCFP»About Us»News»Have you registered for Walk With the Docs 2017? Have you registered for Walk With the Docs 2017? Join us in making history towards a global movement in accessible, quality primary care for all! After 12 years of the Walk for the Docs of Tomorrow, the Foundation for Advancing Family Medicine (FAFM) decided it was time for a fundraising makeover! We are thrilled to announce that moving forward, our annual walk will be known as Canada’s Walk With the Docs — Advancing Family Medicine Globally! 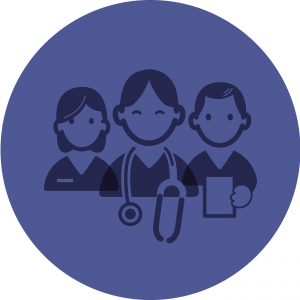 Family medicine is the foundation of health systems. The Besrour Centre’s vision is to lead the way in creating a world where no one is left behind when it comes to accessing quality, primary health care. An international hub of collaboration, the Centre channels these efforts to improve the lives of people globally through better family medicine, while also informing and improving the care of vulnerable populations in Canada. To this end, the money raised from the walk will contribute to strengthening global family medicine through the Besrour Centre. Lace up your shoes and show your support!